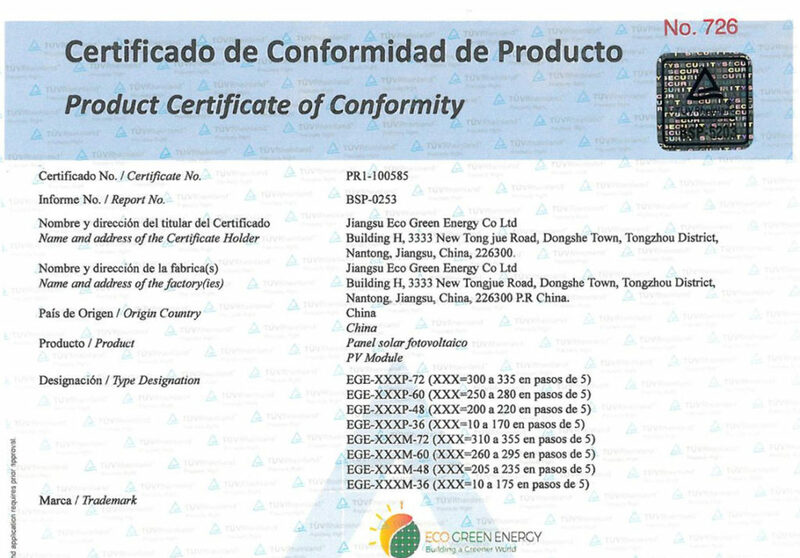 Eco Green Energy is pleased to announce that it is has obtained the RETIE certificate of product conformity in Colombia (ONAC number PR1-100585) for its French brand of solar PV modules. M. Dalibor NIKOLOVSKI, co-founder of Eco Green Energy recently visited Colombia and envisages significant growth in solar systems installation in the near future. Eco Green Energy will also participate to Solar Expo in Colombia in 2019 to be closer and support their customers. Our goal is to achieve sustainable development and development together with our customers.